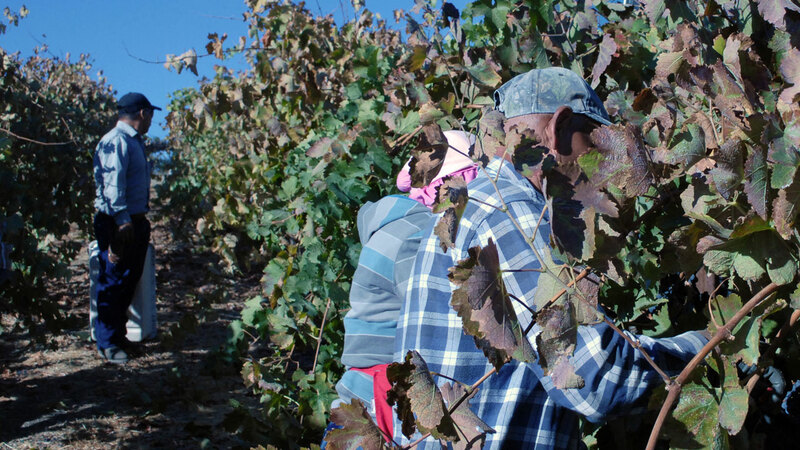 It’s picking time for wine vineyards in the central California community of Paso Robles, and the farmers are bringing in a rich harvest. Paso Robles’ vineyards support a $1.8 billion local economy, and cultivation is up sharply. But as vineyards proliferate around this farm town halfway between Los Angeles and San Francisco, residential wells are starting to go dry. Some are calling the plight of Paso Robles a good example of what’s wrong with California’s unregulated groundwater supply. UPDATE: California officials released their "Water Action Plan" toward securing the state's future water supplies this week. It contains some approaches to better groundwater management--but recommends no specific regulation or legislation. Farmers here irrigate from the Paso Robles Groundwater Basin, subterranean beds of sand and gravel that hold one of California’s largest water supplies. It contains an estimated 30 million acre-feet of water, enough to supply twice as many households as there are in the entire state for a year. According to the San Luis Obispo Groundwater Management Plan, the basin can deliver 97,700 acre-feet annually, assuming recharge levels from rain and Sierra snow remain at normal levels. But they haven’t, and demand on groundwater has continued to climb. According to the GMP, in 1997 the estimated demand was 76,404 acre-feet, or 78 percent of what could safely be withdrawn. Nine years later, it was at 89,473 acre-feet: 92 percent of the safe yield. By 2025, demand is expected to approach 108,000 acre-feet, or 110 percent of the safe yield. You’ve got a combination of less and less effective groundwater replenishment and increased groundwater pumping, which is an ecological train wreck waiting to happen. Nominally, the basin is still within its safety limits. But with agriculture and development booming, water levels have started dropping. This summer, San Luis Obispo County released a new groundwater map showing that most of the aquifer has fallen at least 70 feet since 1997. Richard Frank, director of the California Environmental Law and Policy Center at UC Davis, says until California develops coherent groundwater policies, we can expect such surprises. Denise Smith’s gotten a taste of what that might mean. Her well suddenly went dry in June, and she’s been trucking in water ever since. She’s gotten showers down to 45 seconds. There are plastic buckets in her bathtub and in all the sinks so she can use water twice, and as much as possible, she eats off paper plates. She uses the dishwasher once a week. But there’s been nothing she can do for her garden. She had corn, pumpkins, tomatoes, fruit trees. Now, when she touches the leaves of her plants, they crumble. 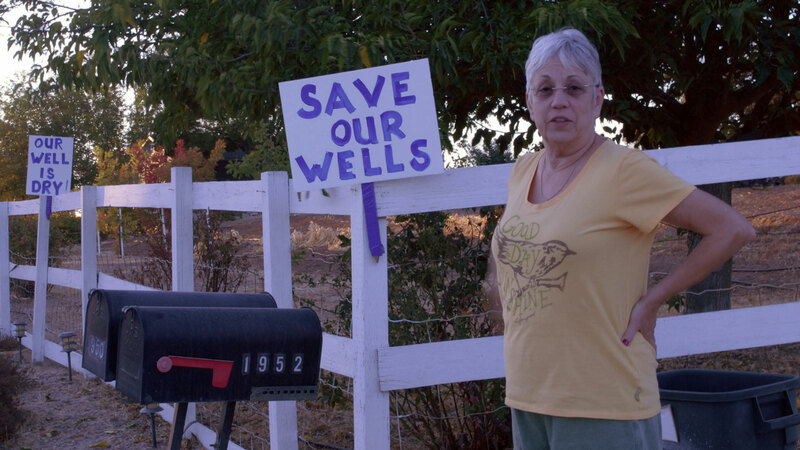 Like many of her neighbors, Smith’s posted “Save Our Wells” placards along the road by her house. Also like her neighbors, she blames Paso Robles’ wine vineyards. “They just keep planting more and more, and their wells are going deeper and their water usage is so much that, you know, it’s taken all the water from people,” she said. Until fairly recently, cattle ranching, grain and especially almonds dominated the local farm economy. But the energy crisis of the 1970s drove up the cost of pumping irrigation water from the ground. Farmers needed a crop that commanded a high enough price to pay those energy bills. It turned out that Paso Robles, with its warm days and cool nights, is prime wine grape country. At the Pomar Junction Vineyard and Winery ten miles southwest of Denise Smith’s bone-dry yard, the vines are thriving. With harvest underway, seventh-generation farmer Dana Merrill plucks a bunch of small, deep purple fruit and pops a sample into his mouth. Merrill likes grapes, and he says these Syrah varietals are especially tasty. “Wine grapes were a godsend. I mean literally, we would not be in agriculture if it wasn’t for wine grapes, because the other crops just aren’t economically viable in this area anymore,” he said. 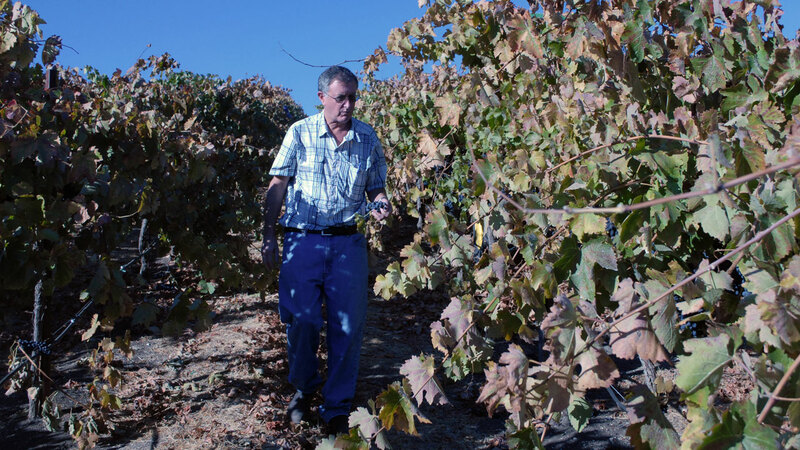 Like other area farmers, Merrill points out that grapes naturally require far less water than other crops such as alfalfa, and growers are using technology to decrease their needs even more. Vineyard owner Kathleen Maas has embraced water thrift. She monitors soil moisture with subterranean, computerized sensors that send a message to her iPad when it’s time to water. To minimize pumping, she’s installed a quarter-million-dollar recycling system. When she washes her grapes, the system uses gravity to run wastewater through a series of filtration tanks and back into storage for irrigation. So it hurt her feelings when a neighbor with a dry household well put up a sign blaming the vineyards. “I didn’t take her water and I wouldn’t want to,” Maas said. “I’m doing everything I can to conserve. I tore out my lawn at home. And we’ll continue to pursue every avenue we can. And yet, there’s just no way it can be one single source who’s responsible for all this." It’s true that Paso Robles’ population has tripled in recent years, and a thriving tourist trade draws on the groundwater as well. Still, farms use about two-thirds of the water. The acreage devoted to vineyards has risen sharply since the 1970s. Then, vineyards made up a little more than 500 acres in all San Luis Obispo County. Today, there are more than 36,000 acres, most in the Paso Robles area. To keep water flowing, a property owner can dig a deeper well. But that can cost at least $30,000, and lots of people say they can’t afford it. San Luis Obispo County supervisors have imposed an emergency ban on all kinds of new wells. But right now, they lack legal authority to limit how much owners of existing wells can pump. “That’s the tragedy of the commons,” said San Luis Obispo County Supervisor County Supervisor Adam Hill, referring to the classic explanation, in economics, of how people use more than their share of a communal resource for short-term gain. According to “tragedy of the commons” theory, the race for immediate profit ends up devouring the resource, and that hurts everybody in the long run. “That’s the problem that we’re faced with now, and that I believe more and more of California counties are going to be faced with if they’re not already,” Hill said. County authorities, farmers and homeowner representatives are trying to establish a local water management district that could monitor usage, pipe in a new supply and set up water recycling and storage facilities. Frank, of the Law and Policy Center, says such districts can be effective. In Arizona, Colorado and New Mexico, anybody who wants to extract groundwater needs a state permit, and state regulators monitor pumping. Texas has administrative regions that govern entire aquifers. In California, the state Legislative Analyst’s Office has twice recommended similar systems. Meanwhile, over-pumping is depleting groundwater throughout the state. Using satellites that track gravitational changes, University of California, Irvine professor Jay Famiglietti is using satellites to track the damage caused by unrestricted pumping in the Central Valley. He said that region is losing about three cubic kilometers of groundwater a year, a rate equal to pumping Lake Mead dry every dozen years. California relies on subterranean aquifers for about a third of its water supply, and even more in drought years. Famiglietti likens California’s current lack of systematic regulation to a family that fails to monitor withdrawals from its bank account. If that goes on too long, he says, the checks will start to bounce.